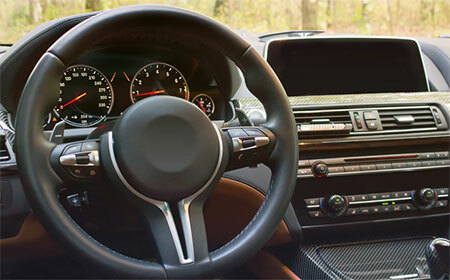 As important to acceleration and braking is being able to control your vehicle’s direction. Your steering depends on the proper function of both mechanical and hydraulic systems to keep you moving in the direction you want to go. See the steering specialists at Precision Automotive Service. Your safety on the streets of Sacramento depends on the reliability and quality work of the repair facility you choose. Your vehicle may be used for shuttling a soccer team to their games, commuting to work daily, or purely for a pleasure cruise on the weekend. In any case, your ability to steer is a safety concern we take to heart. For any make, whether it’s to change a tie rod end, a leaking rack-and-pinion gear, a power steering hose, or power steering pump, make Precision Automotive Service your choice. Make the right choice: steer your vehicle over to Precision Automotive Service for all your steering repairs. Call us or use the online appointment request form to book an appointment today.